What Happened at 184 Adolphus Street? The old man helps guests to their room as he tells them about the hotel and the town. The visitors have to leave tips at the desk because the bellhop disappears before he can take the money. However, the bellhop is not the only specter. Guests have heard a former night watchman walking up the back staircase and clanging his keys on the railing as he makes his rounds. 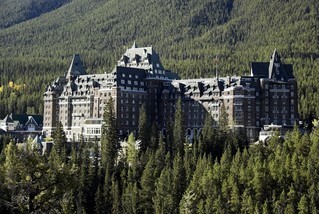 473 is known as “The Bride’s Room” where a ghostly bride (who was perhaps stood up at the altar) is often heard crying. An older apparitional lady, thought to be a senior staff member, is often seen in the dining room at night rearranging the table settings. Various ghosts have been seen in rooms 308 and 373. 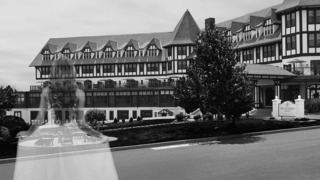 The Algonquin’s tower has been closed for years, but a light has been noticed there and also a woman dressed in white. A laughing and playing apparitional child has been heard throughout this hotel. Other strange occurrences are items that go missing on the fourth floor and door knobs that turn by themselves on the second floor.